Frontier SmartVoice is a cloud-based, network-agnostic voice collaboration system that offers a variety of collaborative applications and services. 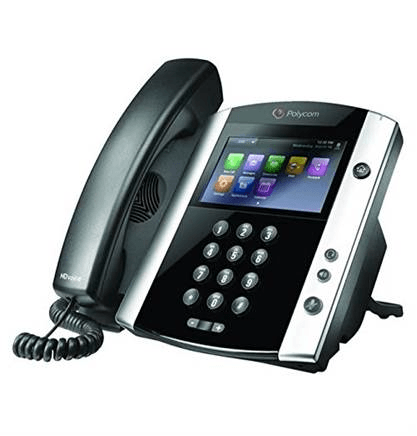 SmartVoice is available through Frontier or customer-provided broadband services and is compatible with desktop, mobile, and Frontier Communicator mobility applications for Smartphones and desktop computers. Frontier SmartVoice provides a full suite of hosted unified communications features. Your business is an extension of you — your word, your values, and your purpose. Extend your freedom with a complete voice mobility solution. With SmartVoice business voice, you can connect with your staff, your customers, and your suppliers no matter where you are. This means you can be mobile while still staying readily accessible. Frontier Communicator is a powerful and intuitive application supported on iOS, Android, Windows and Mac devices. It enables small businesses to extend business telephony services directly to an end user’s laptop, smartphone, tablet, and deskphone. Get the flexibility you need to take your voice line — and your business — where you want to go. Call to get started with SmartVoice today. $29.99 per month per line with minimum one-year agreement Equipment fees, taxes & other fees apply. Services subject to all applicable Frontier terms and conditions. Subject to availability.Frontier Smart Voice requires an internet connection, which is not included. Equipment fees, taxes, governmental surcharges, and fees, including Smart Voice equipment fee (up to $12/mo. per seat), one-time Smart Voice equipment fee (up to $25 per seat) and other applicable charges extra, and subject to change during and after the promotional period. Domestic long-distance minutes exclude 900, international, directory assistance and dial-up calls. Usage restrictions may apply. Your Frontier SmartVoice service, including 911 service, will not function without electrical or battery backup power. In the event of a power outage, you may not be able to make calls. Other restrictions apply. Frontier reserves the right to withdraw this offer at any time ©2019 Frontier Communications Corporation.